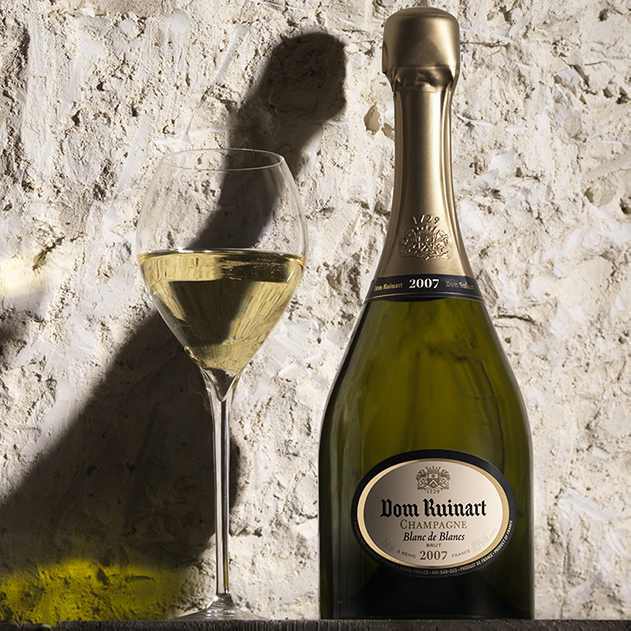 As a tribute to the Ruinart taste, the Dom Ruinart Blanc de Blancs 2007 is the perfect example. 2007 was an unusual vintage in Champagne, with the harvest beginning in August. Composed entirely of Grand Cru Chardonnays, 75% of which originate from the Côte des Blancs and 25% from the northern slopes of the Montagne de Reims, Dom Ruinart 2007 is resplendent, with a radiant intense gold appearance and shimmering green glints. The dynamic and sculpted character of this vintage, combined with gorgeous freshness – the Ruinart signature – means that there are myriad food pairing possibilities. Aristocracy and length mark this Dom Ruinart 2002, fresh with citrus, exotic fruits and splendid minerality over flinty aromas. Woven with elegance and an aristocratic, smooth character this is an exceptional vintage, with oriental notes of dried flowers and ripe citrus. 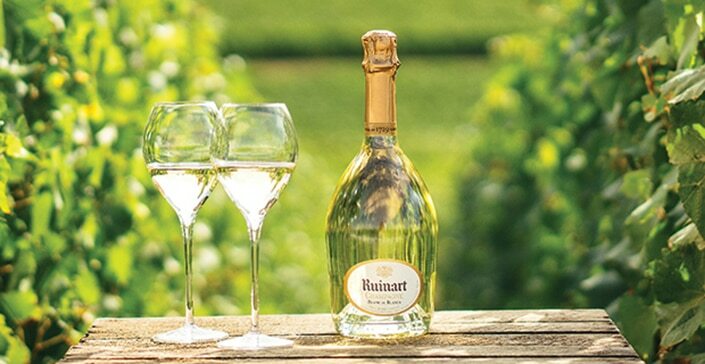 Dom Ruinart, visionary founder of the oldest Champagne estate, is the inspiration behind this exceptional vintage. Dom Ruinart Blanc de Blancs 2006 is surprising for its aromatic freshness, right up until the mature and tasty final notes, backed with an elegant bitterness.